Irvine, California—April 3, 2017— Just in time for Opening Day, Hi-Chew, the sensationally chewy fruit candy from Japan, is partnering with the Los Angeles Dodgers for a second year to give players and fans the opportunity to savor the flavor of fun at the ballpark. Hi-Chew will host on-site activations, product sampling and surprise and delight elements during select home games throughout the 2017 season. 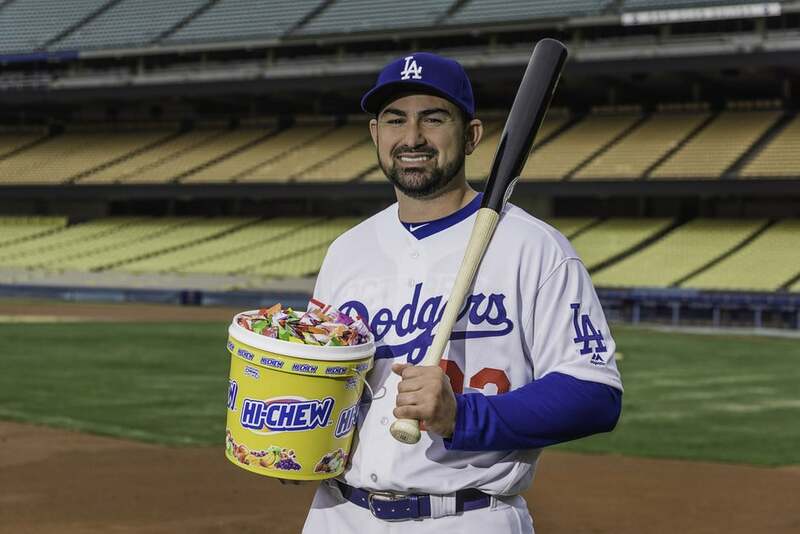 Hi-Chew will also be available for purchase at concession stands in Dodger Stadium. Since baseball’s inception, snacks have always been an important part of the ballpark experience. Fast-forward to today, and the nostalgia of food during the games is still nothing short of a homerun. As Hi-Chew’s popularity continues to capture the hearts and taste buds of Americans, the baseball field is the perfect opportunity for Los Angeles Dodgers fans and players to enjoy Hi-Chew’s vibrantly juicy flavors. Known for real fruit flavor and long-lasting chewy texture, each individually wrapped Hi-Chew is satisfying the hankering for something sweet around the seventh inning and beyond. Players, including first baseman Adrian Gonzalez, can’t seem to get enough. Hi-Chew is also celebrating the little champions of the Los Angeles community by participating in a number of Dodger youth events, as well as taking over the Play Zone at Dodger Stadium. For more information regarding Hi-Chew sampling events and youth programs please visit www.hi-chew.com/hichewblue. To learn more about Hi-Chew, please go to http://www.hi-chew.com, like us at https://www.facebook.com/HiChew/, and follow us at https://www.instagram.com/hichewusa/ and https://twitter.com/hichew.